At Corona Coatings Corp., we have provided residential and commercial polyurethane foam wall insulation services to San Bernardino and Riverside since 1976. 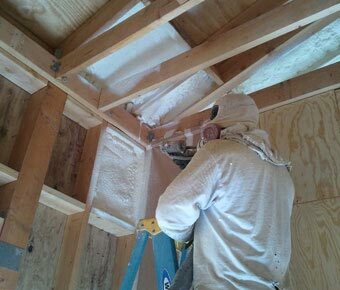 In our over 40 years in business, our expert polyurethane foam insulation technicians have completed thousands of projects for satisfied clients throughout our service area who have been so pleased with our superior insulation products and excellent customer service that they have referred us repeatedly to their business associates, family, and friends. At Corona Coatings Corp., we are an authorized contractor for both the Henry Company and NCFI Polyurethanes, and proudly install their closed cell spray polyurethane foam wall insulation products for our valued clients. Insulation is an important architectural design feature, because it has such a large impact on regulating a home's or business's internal temperature, affecting the comfort of those inside. The quality of insulation in a structure also has a significant effect on the energy output required to heat and cool a building, and can greatly influence heating and cooling costs. Spray polyurethane foam's resistance to heat transfer (R-value) is far superior to blown-in cellulose insulation or fiberglass batt insulation, and this high R-value, in combination with the airtight seal spray polyurethane foam provides within the wall cavity, can result in dramatic energy savings. Unlike fiberglass batt and cellulose insulation, spray polyurethane foam wall insulation has the ability to conform tightly to every angle and structure within the wall cavity, eliminating gaps around electrical outlets and conduits, and forming a tight seal around pipes and other through-the-wall plumbing penetrations. 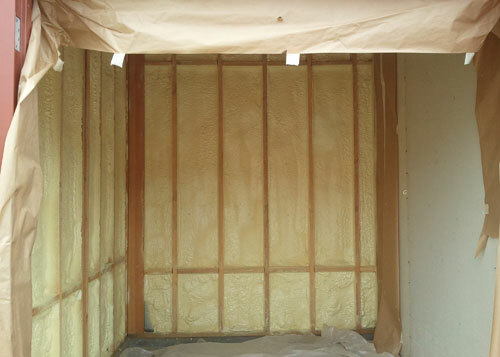 Spray polyurethane wall insulation systems are simply the highest quality insulation systems available today. They help to keep your home or business property warm in the winter and cool in the summer, and also provide a superior environmental envelope against airflow through your building's walls, providing a barrier against outside dust, pollen, and other airborne pollutants, which leads to improved indoor air quality in your home or business. 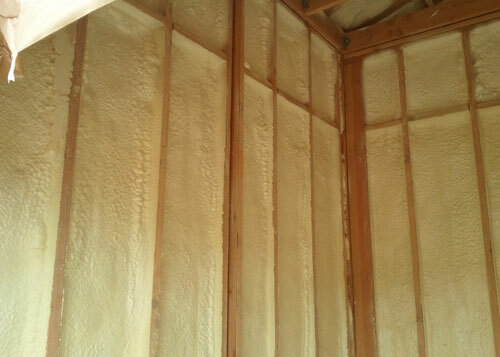 Polyurethane foam wall insulation also possesses greater sound-dampening properties than fiberglass and cellulose wall insulation systems. Moreover, the installation of spray foam insulation in new construction or the retrofitting of existing construction with spray foam insulation may make the property's owner eligible for tax credits, rebates, and other incentives. Call Corona Coatings Corp. today. 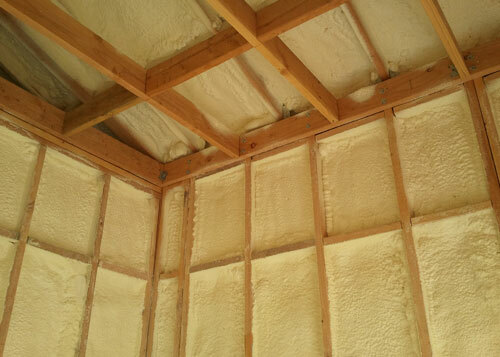 We offer free onsite estimates on all insulation projects. Our skilled application technicians each have 12 to 14 years of experience working in the polyurethane foam insulation industry, and are required to complete a rigorous on-going course of training in the high-performance foam insulation products we apply. Corona Coatings Corp. is a proud member of the Better Business Bureau (BBB), and the Spray Polyurethane Foam Alliance (SPFA), and is licensed, bonded, and insured.